Norway has committed billions in funding to help preserve the world’s rainforests but much of the money remains sitting in bank accounts, reports Oslo-based Development Today. Prime Minister Jens Stoltenberg’s high-profile effort to reverse climate change through rainforest preservation seems to be facing lengthy delays. The money has been forthcoming, but much of it hasn’t been earmarked for specific projects, revealed Development Today this week in a report (external link) quickly picked up by Norwegian media. The journal specializing in covering aid, business and environment issues reported that frustration was growing over the “slow disbursement” of Norway’s forest climate aid funds. Transfers of money to the three countries chosen by Norway as having a priority for funding – Brazil, Indonesia and Guyana – reportedly have stagnated, with less than a tenth of the funds set aside actually paid out. 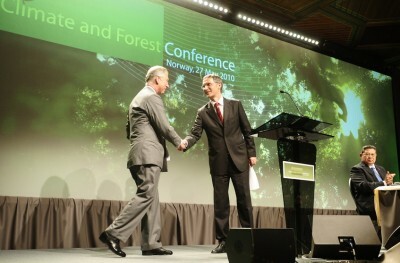 Stoltenberg and his left-center coalition government promised to allocate as much as NOK 3 billion a year to stop destruction of rainforests, which in turn would help reduce total greenhouse gas emissions in the world. Norway has often been accused of buying its way out of emission reduction commitments, although Stoltenberg claims the country will also cut emissions at home. Kristiansen claimed there would be more criticism if money was disbursed without Norway ensuring control over its use. He said the fund wanted “strong demands” for ensuring the money would be used wisely. Hans Brattskar, who leads the government’s climate and rainforest project, also stressed it was important that funds not be disbursed before they’re sure the money will be put to good use in the recipient country. “We’d gladly see the process move more quickly, but it’s important it’s carried out in a proper way,” Brattskar told Aftenposten. The Braziian development bank BNDES Brasil, he said, was responsible for administering the funds. Brazil has been promised at least NOK 6 billion (USD 1.09 billion) in funding through 2014 as has Indonesia, which has received NOK 185 million so far. Only NOK 18 million, however, has been used in Indonesia. Guyana has been promised NOK 1.5 billion and reportedly received its first transfer of NOK 177 million last year.